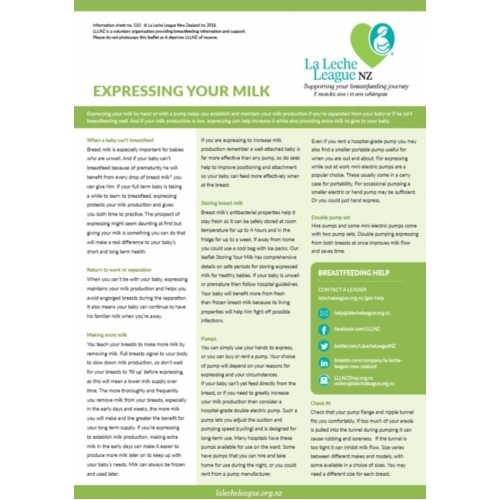 Expressing your milk by hand or with a pump helps you establish and maintain your milk supply if you’re separated from your baby or if he isn’t breastfeeding well. And if your milk production is low, expressing can help increase it whilst also providing extra milk to give to your baby. 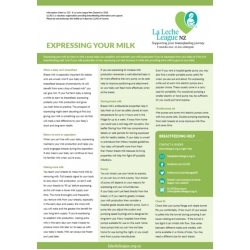 This information sheet includes information on choosing and using a pump and how to hand express and pump milk more efficiently and effectively.